Destiny records presents the Anointed son of the north, EeY With his new single titled Yarinya. His prior single, Gyale Dance which he featured sensational Chuddy K has been the talk of town on major airwaves nationwide. 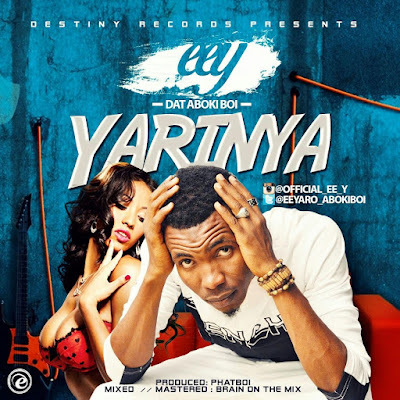 In his bids to follow up on this trends, he records a new single titled Yarinya as produced by phatboi,mixed and mastered by Brain on da mix. This is surely a good tune to enjoy.